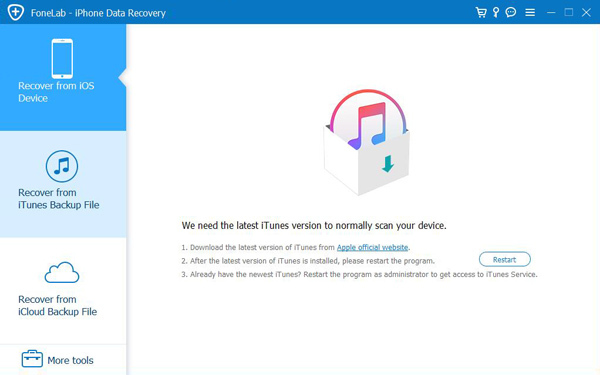 Since fixing iPhone 8/8 Plus stuck on Apple logo with iTunes will cause data loss and the procedures are a bit complex, another easy and effective way is to use iOS System Recovery to solve it within a click. Besides, it can fix iPhone 8/X frozen on Apple logo, DFU mode or other stuck issues without losing data by repairing iOS system. Step 1. 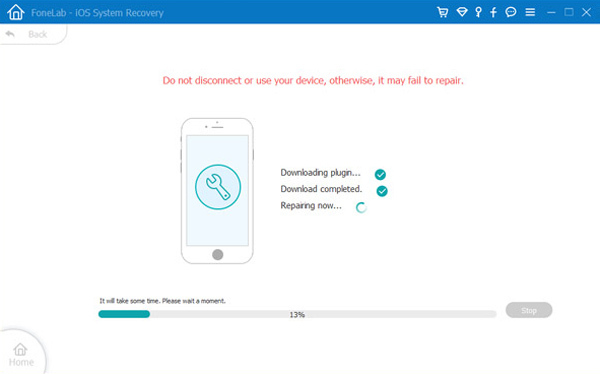 Download and install iOS System Recovery. 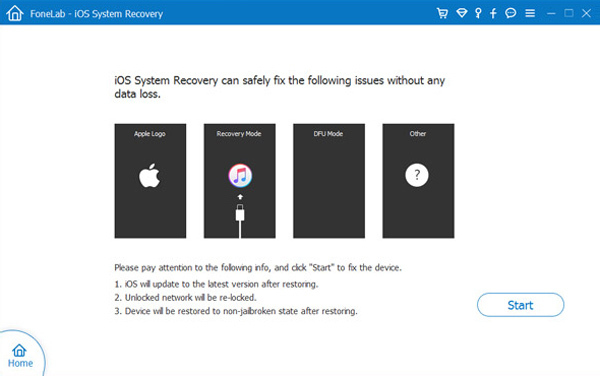 Connect your stuck iPhone 8/X to your PC/Mac and run iOS System Recovery.Then choose iOS System Recovery on the interface. Step 2: The software can detect your iPhone 8/X is in not normal mode and ask you to click Start button to begin the fixing process. Step 3: It will ask you to confirm the information on your iPhone 8/X. Click Repair if it is correct, but if not, select the exact information manually. It will take some time to download plug-in, please do not disconnect or use your device during the process.